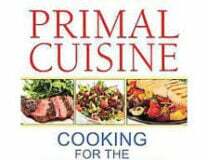 That’s what Paleo, Primal and Ancestral Foods are all about. In the case of the human animal, we ask “What is the Diet for Human Beings”? 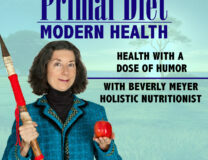 (See my excellent DVD “The Diet For Human Beings”)! The question is the same for all other creatures, whether it’s a parrot, a cricket, or a cat. What is the Species Appropriate Diet for that animal? Cats are OBLIGATE CARNIVORES. They require meat as food, more so than dogs who supplement their own wild diets with a little fruit, veggies or tubers. Along with their meat, cats get feathers, guts, bones, tails, organs, and the stomach contents of their prey, including some pre-digested carbs such as grass or veggies. Lions, tigers and house kitties hunt living food they can chase. They don’t harvest stationary food such as grass seed (wheat and corn) or soybeans. In the case of house cats, they are too small to have hunted elk or other red meat, and I have found my cats strongly prefer poultry, seafood and rabbit to any red meat I offer them. With the possible exception of liver… One of my cats will eat chicken livers with gusto, while others have declined the offer. 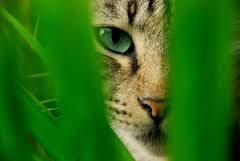 Cats love raw eggs and will supplement their diet by robbing bird’s nests or scavenging for fallen eggs. I find a few drops of Wheat-Free Tamari on their weekly raw pastured egg really makes them happy. Sometimes they get just the yolk, and sometimes the whole egg. Thinking “species appropriate”, you may discover other foods to be obvious choices for your cat. What would they eat in the wild?? I often add a pinch of Duck Fat or coconut oil, or offer that on the side for them to eat if they like it, even though that’s not really a wild food option. Cats are meant to be lean, so if yours are too chubby, they’re eating too many carbs or they’re just plain overfed. Feed twice a day only. A lean cat is a happy cat and more playful too. Cats’ prey is WET food. 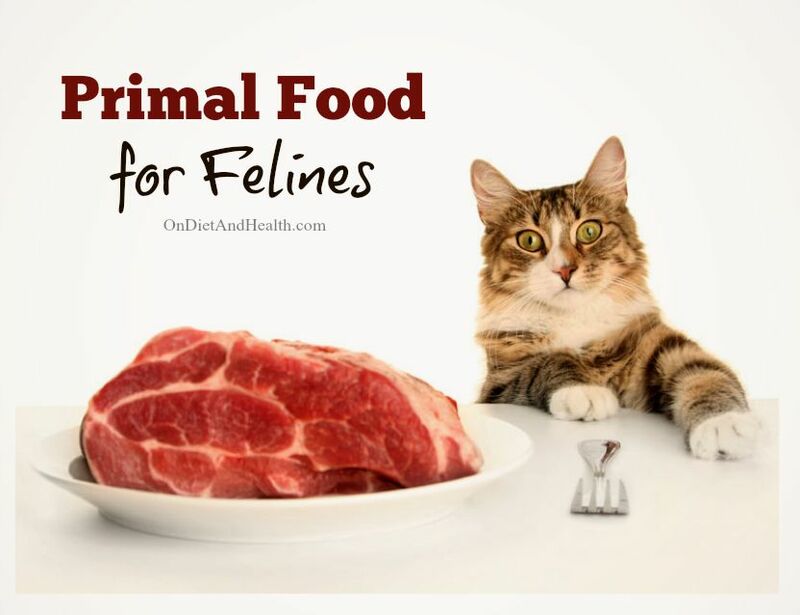 Kibble dehydrates them and causes kidney and urinary problems – perhaps the number one cause of vet visits is kidney failure and urinary infections. Switching to canned food makes a healthier cat. Switching to GRAIN-FREE canned food is the best choice. I have found that grain-fee canned DOG food is exactly the same as grain-free canned CAT food and it is cheaper and comes in larger cans – less to recycle. The old rule of adding Taurine to cat food is only for dry food. Real meat needs no extra taurine. I can get 4 or 5 cat servings from one can of grain-free dog food. If your cats eat only kibble, and you cannot change for financial reasons (canned food is more expensive), then switch to grain-free kibble and get the genetically modified wheat, corn and soy OUT of their diets. Add raw pastured egg and the oils mentioned above. If you’re ready to try canned food, buy small cans and try a tablespoon on the side or mixed in the kibble to see which flavors entice them. I have tried feeding raw meat to cats, but don’t do a good job balancing the minerals and organs meats they require. You can buy frozen raw meals but my cats have never liked them. 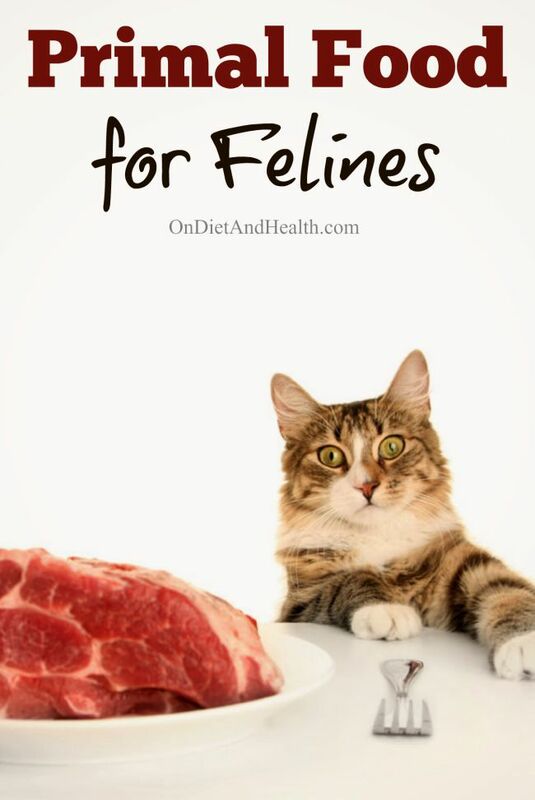 Keep a list of which foods which cat will eat. Or combine two foods, hiding the less favorite in with a favorite. Evanger’s Mackerel is great for this as it is suitably fishy, has no gums, and has a lot of natural fish broth in every can. Don’t feed tuna which is often high in mercury as all large fish tend to be. Sardines and mackerel are cleaner. Keep a list of what foods were winners and losers. Once you’ve tried several small cans of the same food and they have enjoyed them, but the larger cans by the case at websites such as Petflow.com and Dog.com. Once you buy from them you’ll get lots of ads but the ads carry great discount codes if you wait for them. One last thing…. DO NOT give pets tap water! Fluoride and chlorine are just as bad for them as for humans. Adding a tablespoon of water to the canned food helps hydrate them as well. Here’s the current kitty go-to list at my house…. Evanger’s canned Whole Mackerel; Evanger’s Duck; Wellness Core Grain-Free Turkey w. Chicken Liver; Wellness Core Grain-Free Turkey w. Pork Liver; Tiki Cat’s Hanalei Luau, Koolina Luau and Puka Puka Luau (Note that not all Tiki Cat food is grain-free and it only comes in smaller cat sizes).